One of the largest global parties of the year, St Patrick's Day continues to prove that it has a special place in the hearts of people and brands alike, writes Rick Hirst, CEO at Mcgarrybowen London. But in a modern calendar that is now cluttered with innumerate celebratory occasions (both historical and fabricated) why does St Patrick prevail so well? Is he perhaps the ultimate brand ambassador? A first-time search tells an interesting history of St Patrick that plays into the more familiar understanding of what the day represents now. No, his story is not one of leprechauns, shamrocks and gallons of the black stuff. But he was a man credited with converting large swathes of the sixth century Irish population to Christianity after being asked by the people of Ireland to 'come walk with us' in a non-Guinness-fuelled vision. His method? An uncanny ability to build a strong rapport with ordinary people. He was known for his imagination and tenacity and what he created was a sense of community and togetherness that is a clear byproduct of the celebration that we know St Patrick's Day to be today. There's plenty of good stuff associated with this day that brands and marketers are therefore keen to be associated with. After all, why wouldn't a brand want to have a voice on a universally enjoyed moment for ordinary people to get together? St Patrick’s Day is an occasion that allows brands to become icons. It’s the ultimate symbol of a day, an event, that people can relate to and enjoy. And advertisers see value in the celebration because it offers the opportunity to tell compelling stories and talk about their own beliefs, while acting in a way that connects with the everyman appeal of St Patrick. St Patrick’s Day doesn't stop there though. It's got a big tick in the brand behaviour box but also provides a rich palette of iconography to allow brands to create powerful and instantaneous visual associations that subvert many a brand guidelines document. Colour the Vodafone logo in shamrock green and you instantaneously create a timely Irish connection that's easy for both advertisers and consumers to "get". It's difficult to think of another example where such an easy visual connection can be used to adapt communications, and to create immediate and impactful brand connections. Social channels have certainly added considerably to the quantity of visual iconography around St Patrick’s Day. 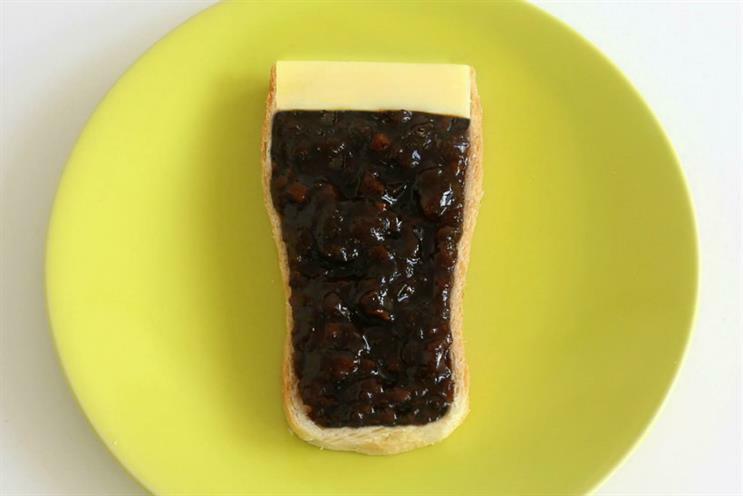 One of my favourite pieces of work for our client Branston Pickle was a Facebook post featuring a cheese and pickle sandwich cut to resemble the famous Guinness glass with a reassuring note to "Eat responsibly this St Patrick's Day" (pictured above). It wasn't just our favourite, it was, to our surprise, shared more times than the official Guinness post on what is, arguably, the black stuff’s day. So, St Patrick’s Day celebrates a man who roamed Ireland to connect with real people. It's a history that has morphed into an event celebrating a familiar and well-loved Irish spirit. It's this that perhaps explains its continuing appeal to advertisers and their desire to associate their brands with the day. Compared to the offerings that Saints George, Andrew and David muster in competition - I can't see Patrick being upstaged anytime soon. I might now have a quick pint to toast his win. With some Branston sandwiches, of course.